Accessibility and opulence unite in this luxurious marvel of design innovation. 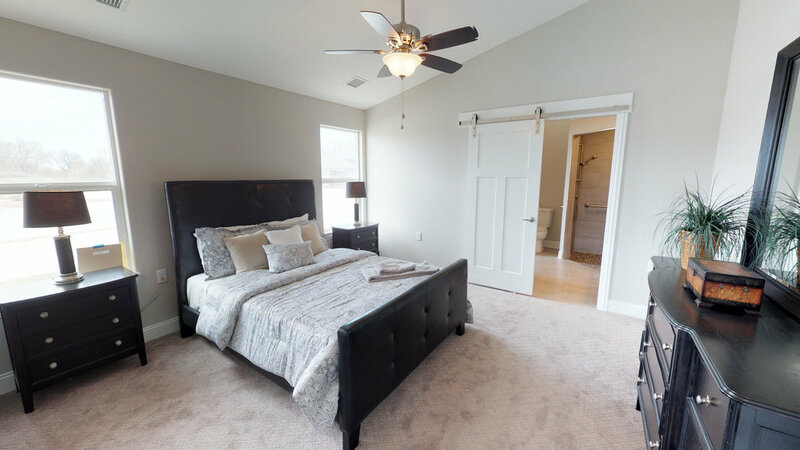 The Sinatra Floor Plan is absolutely ideal for home owners seeking a turn key, maintenance free lifestyle with a place for everything and everything in its place. Featuring the exclusively patented RevEntry Zero Barrier Entry System, the Smart Step Easy Access Stair System, the ADA compliant Zero Step Rain Shower and much much more. Call Joe Warren at 316-308-4402 for a private tour and see why we call it "Universal craftsmanship for every walk of life!" The Astaire is everything you’ve always wanted in a patio/garden home. More space for cooking and dinner parties. A luxurious owner’s suite with full tile walk-in shower. Energy efficient wall to wall Hydro heated floors. 50” Touchstone fireplace. Concrete storm shelter. Designed around your lifestyle, built for lasting value, low-maintenance and peace of mind backed by a comprehensive warranty. IS A MADISON GARDEN VILLA RIGHT FOR YOU? There’s one sure way to find out—come find out for yourself and get to know your potential new neighbors. 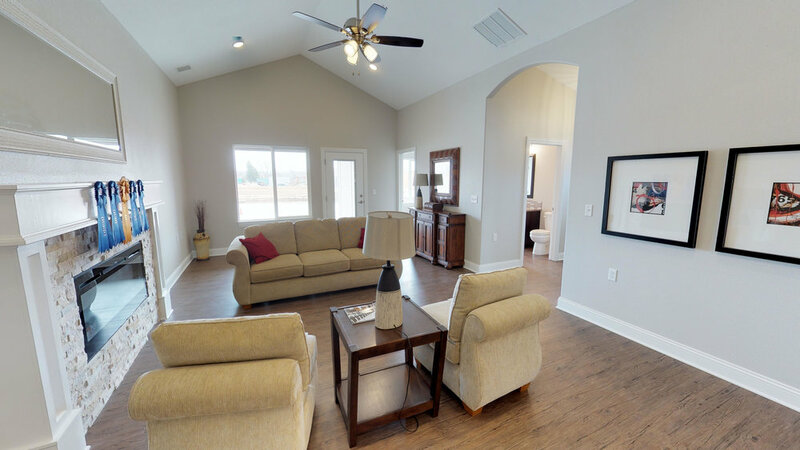 Model Home open every day 2-4 pm, or schedule your exclusive visit by calling Jeffrey at (316) 371-4469.